Crayfish, which are also known as freshwater lobsters, are another one of those creatures that have not changed in a hundred million years. Members of the superfamily of Astacoida, they generally live in fresh water that is not too cold. 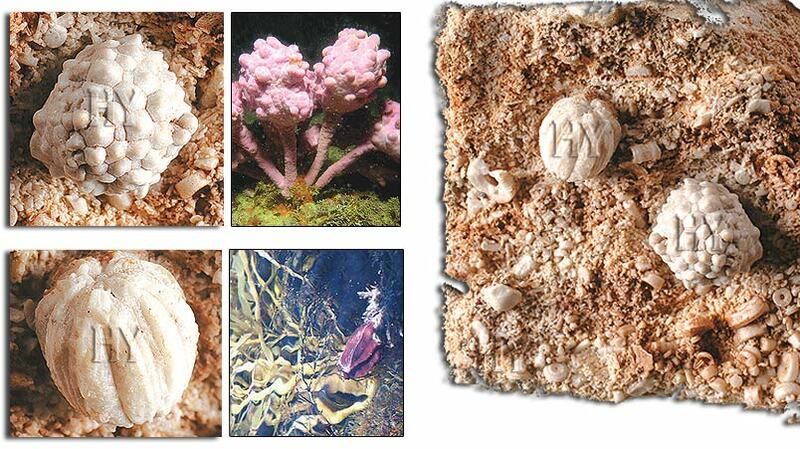 Some species can even live up to 3 meters (9.8 feet) under the ground. 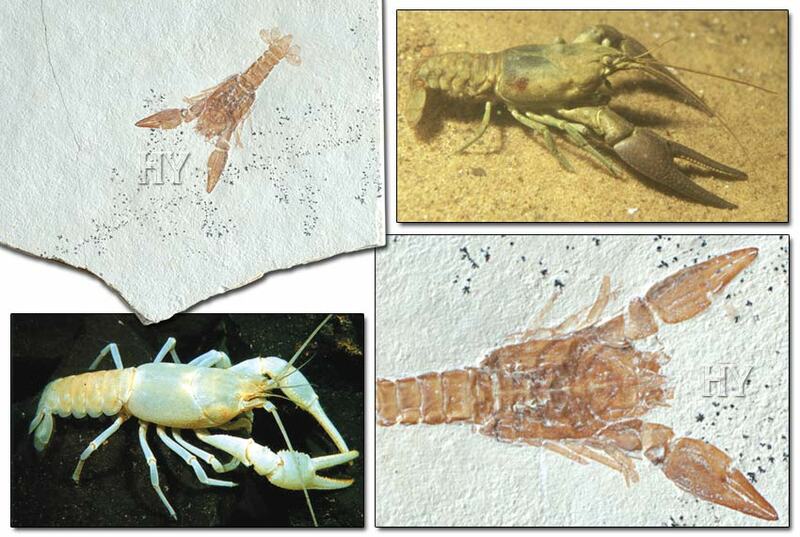 The crayfish fossil shown here is 150 million years old, yet is no different from those living today. This once again disproves the claims of evolutionists about the origin of living things and shows that Creation is the only explanation. 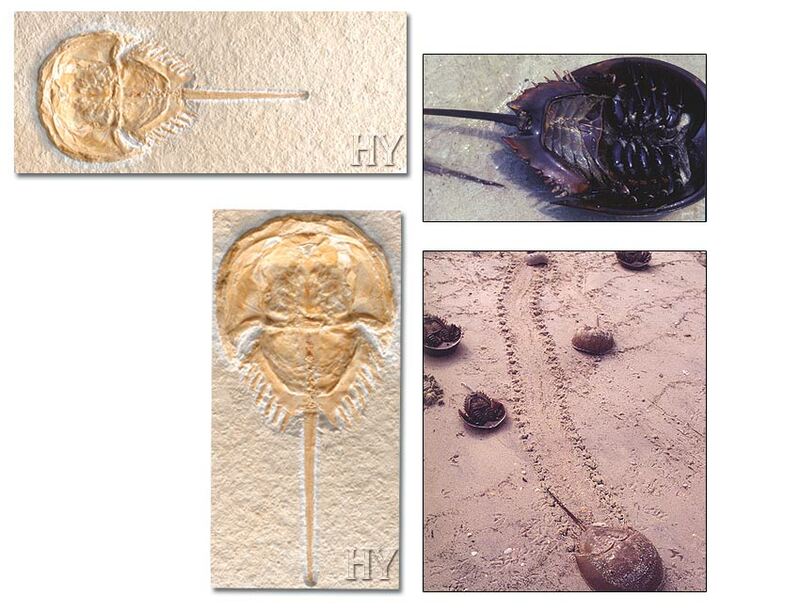 The 150-million-year-old horseshoe crab fossil shown here is proof that these creatures have not changed in an interval of more than a hundred million years. These crustaceans are a clear indication that evolution has never happened and that Almighty God created all living creatures. 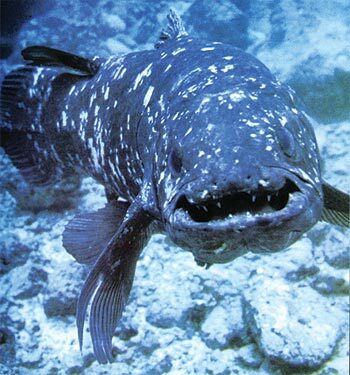 Evolutionists once claimed that coelacanths were an extinct "missing link" or "intermediate form" of creature between fish and amphibian. But since 1938, when a live specimen was caught, it is known that the coelacanth is a deep-water fish that still lives off the African coast. 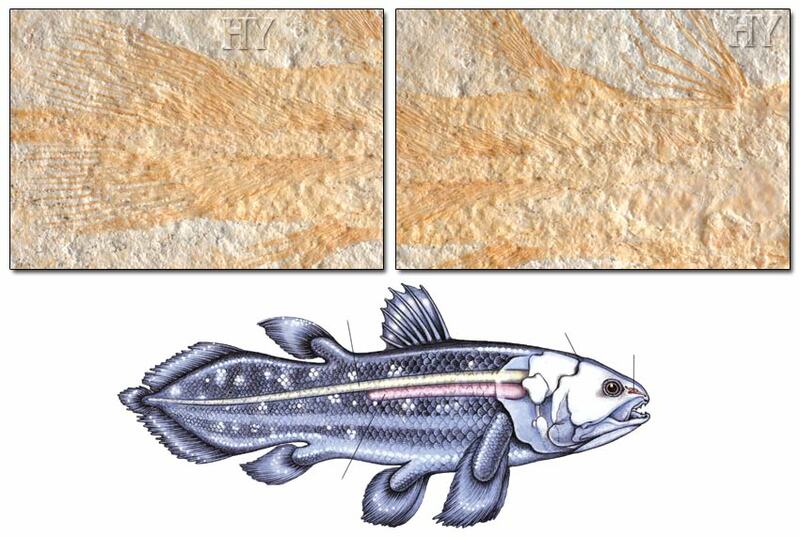 Fossils of the creatures such as the coelacanth disprove evolution's scenario that living things have changed over time. With the discovery of a living coelacanth, it appeared that the claims made about these creatures were nothing but deceptions. Besides, evolutionists had declared this was a creature that lived in shallow water and was a prospective amphibian, waiting to emerge from the water on its leg-like fins. But it is now known that coelacanths are actually deep-water fish that live in the deepest areas of the ocean and almost never approach within 180 meters (590 feet) of the surface. Coelacanths, having lived for some 400 million years, bring evolutionists to an impasse. 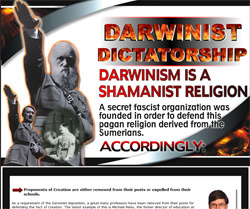 The fact that these creatures have not changed in all this time disproves the claim that living things appeared in stages and evolved from one another. 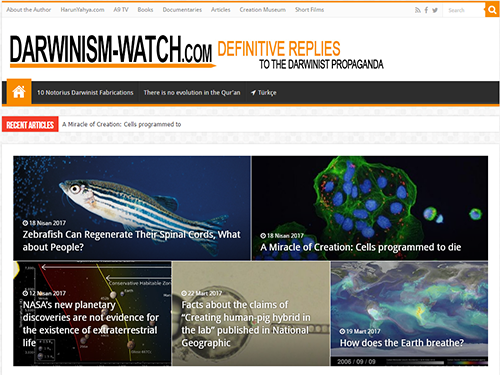 Additionally, coelacanths demonstrate once again the deep gulf that divides sea and land creatures—which gap evolutionists would like to bridge by an imaginary evolution from one to the other. 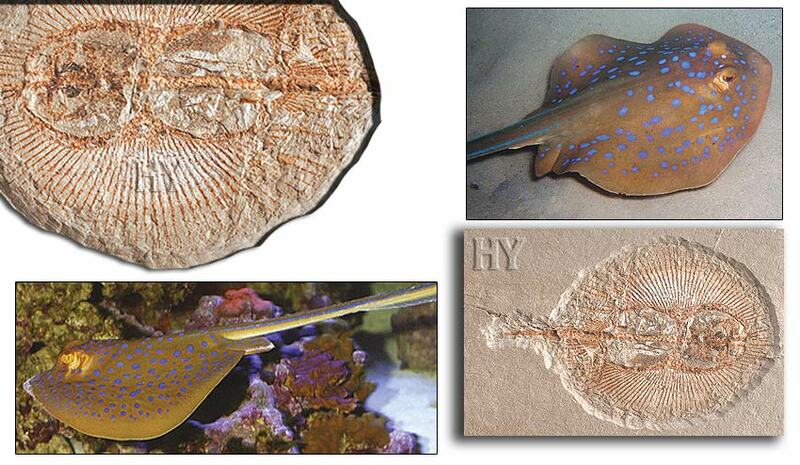 The anatomical characteristics of a 400-million-year-old fish show that evolution never occurred. Anatomical examination of a coelacanth that was caught alive revealed many features that disprove evolutionists' claims. Four hundred million years ago, in a period when only primitive creatures were supposed to have lived, it was discovered that coelacanths already had many complex features that even today's fish do not have. Among them is the ability to sense electromagnetic fields in their vicinity, which shows that coelacanths have highly developed sense organs. When scientists examined the organization of the nerves connecting the fish's rostral organ with its brain, they accepted that this organ's functions allow the fish to recognize electromagnetic areas. Focus magazine wrote about evolutionists' surprise when confronted by the coelacanth's complex structure and features: "According to the fossils, fish appeared about 470 million years ago. Coelacanths appeared 60 millions years later. This creature should be expected to have possessed primitive features, but its complex physical structure is amazing." 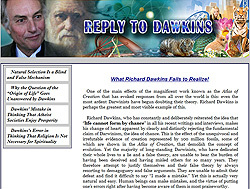 For Darwinists, chance is a divinity that performs miracles. They claim that all of today's complex creatures evolved through small incremental changes that occurred over the course of millions of years. However, chance can create nothing; it could never have produced the wonderful features and complex structures in living things. 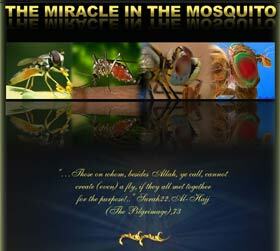 Creatures are complex because God created them so; they witness to His supreme artistry. 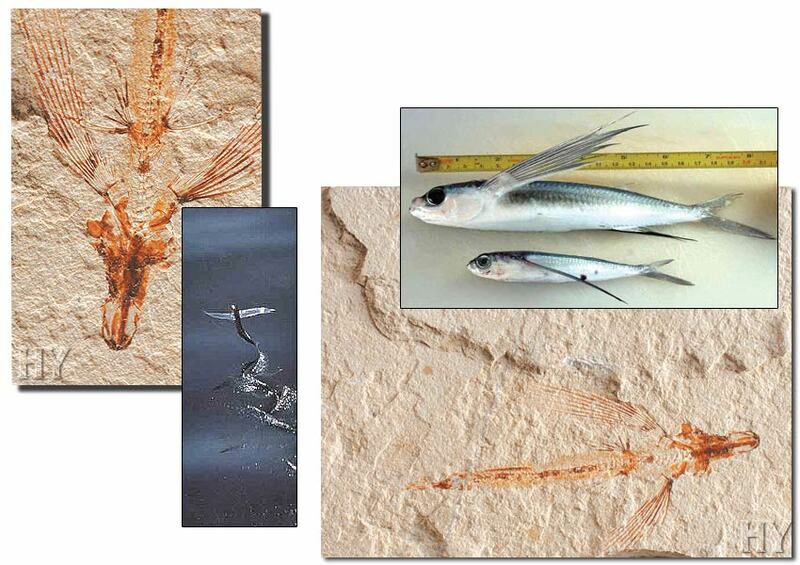 Present-day flying fish manifest God's artistry, just as they did 95 million years ago. 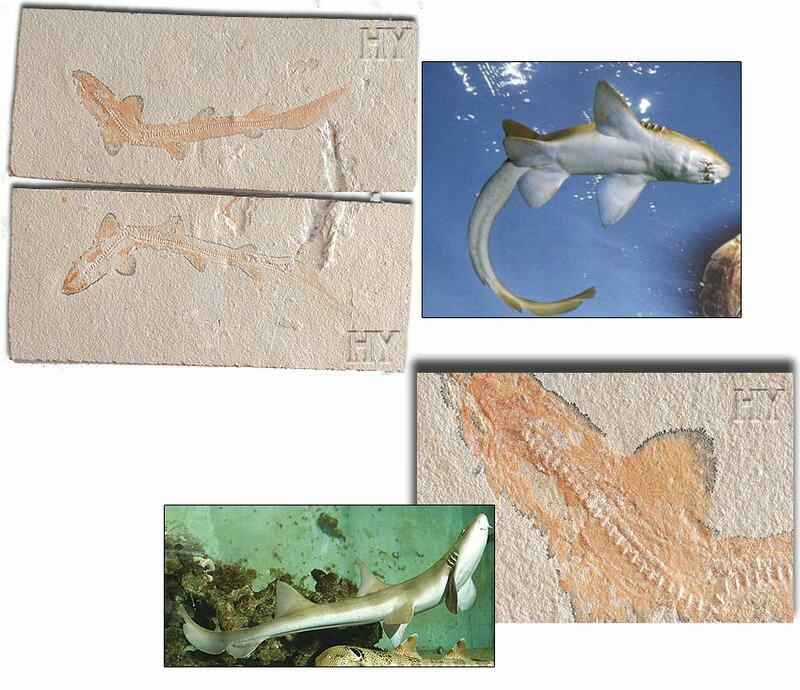 This catshark fossil can be observed on both negative and positive plates. Some fossils are called "paired" fossils, when the layers containing a fossil are split open. As a result, the fossil has a positive, raised image on one side and a negative, concave "mold" on the other slab of stone. 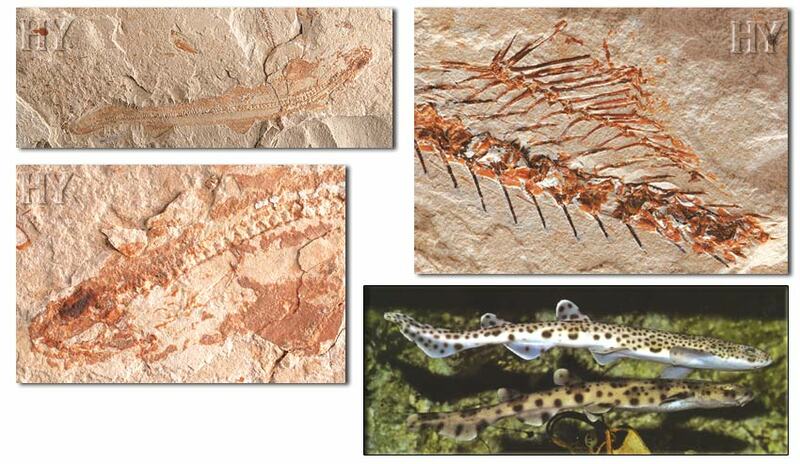 The 95-million-year-old catshark fossil in the picture is one such two-part specimen. Catshark belong to sharks classification. The catshark shown here belongs to the Scyliorhidinae family. Modern-day catshark are identical to those that lived 95 million years ago, which fact challenges the theory of evolution. 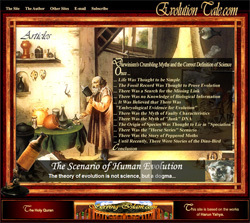 Darwinists claim that all creatures have undergone evolution. For this reason, examples of fossils from millions of years ago are very important to show that living things have not changed. 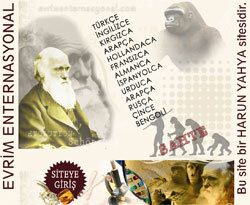 Even a single fossil proves this; and the world is full of such examples. 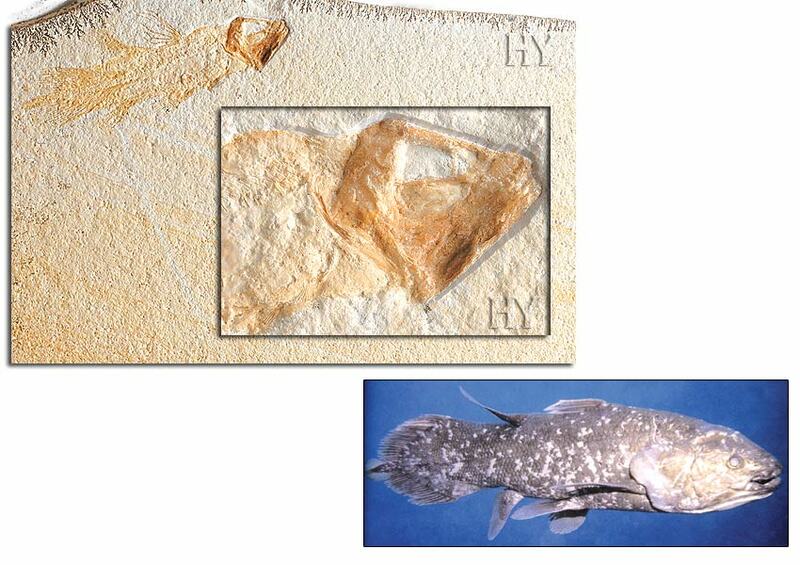 One of the fossils showing the invalidity of the theory of evolution is this 95-million-year-old specimen of a guitar fish. 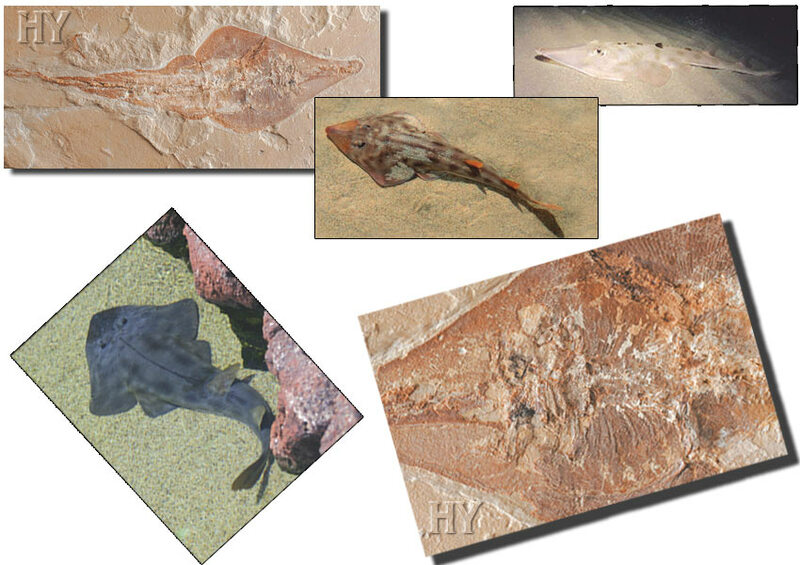 The same complex anatomical structure and features displayed by present-day guitar fish are also seen in this one that lived 95 million years ago. One can see the details of the fossil quite clearly. 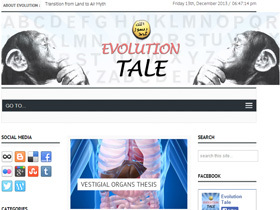 Faced with evidence like this, arguments for the theory of evolution are in the dead end. Seahorses have always existed as seahorses. The fossil in the picture, 5 million years old, confirms this reality. 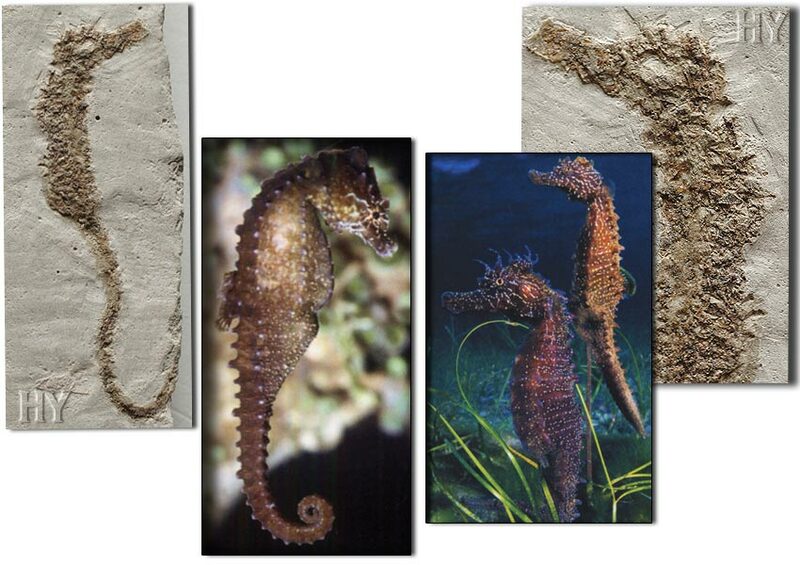 Seahorses have not gone through any evolutionary process, but were created just like all other life forms. Resimlerde Lübnan'daki An-Namoura fosil sahası ve bu sahada yapılan çalışmalar görülmektedir. Dünyanın dört bir yanında evrimin yaşanmadığını gösteren sayısız fosil elde edilmişken, evrimcilerin ısrarla bu gerçeği göz ardı etmelerinin hiçbir manası yoktur. 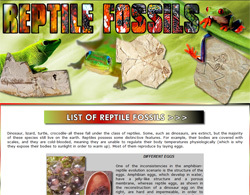 The illustrated fossils are negative and positive parts of the same fossil. 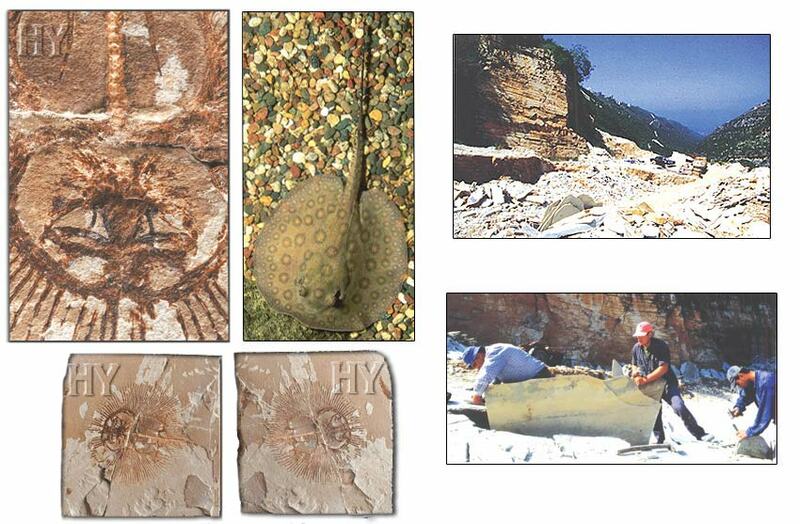 The illustrations show the An-Namoura fossil bed in Lebanon and the diggings in this bed. While countless fossils have been discovered all around the world showing that evolution has never occurred, there's no point in denying this fact for the evolutionists. This catshark fossil from the Cretaceous period is visible on both of the surfaces of the layer of rock in which it was found. It is 95 million years old and has the same features as today's catsharks. This proves that this creature, contrary to what evolutionists claim, did not come into being from any other species as a result of small changes over time, nor did it develop into any other species. 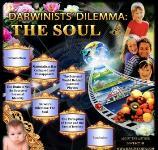 For 150 years, Darwinists have hoped that "intermediate-form" fossils will be found in the future. 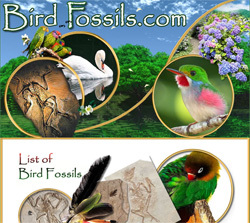 But as the fossil record shows, not one has yet been found. 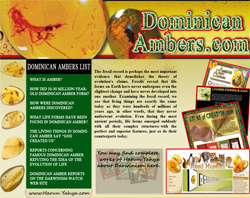 The fossils unearthed to date are rich and varied enough to allow an understanding of the origin of living creatures and present us with a definite schema: Various species appeared on Earth all at once, separately with their own distinct physical structures, and without passing through any intermediate forms. The clear significance of this is that God created living creatures. 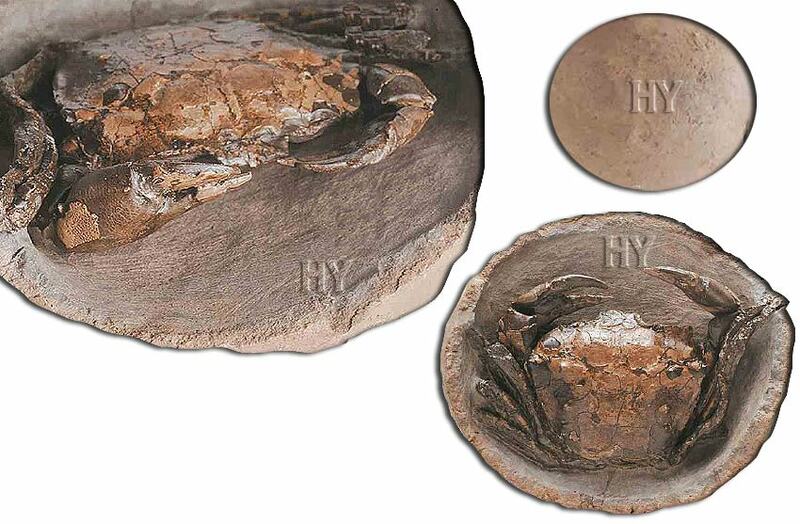 One of the many discoveries that corroborates this fact is the 38- to 23-million-year-old crab fossil shown here. 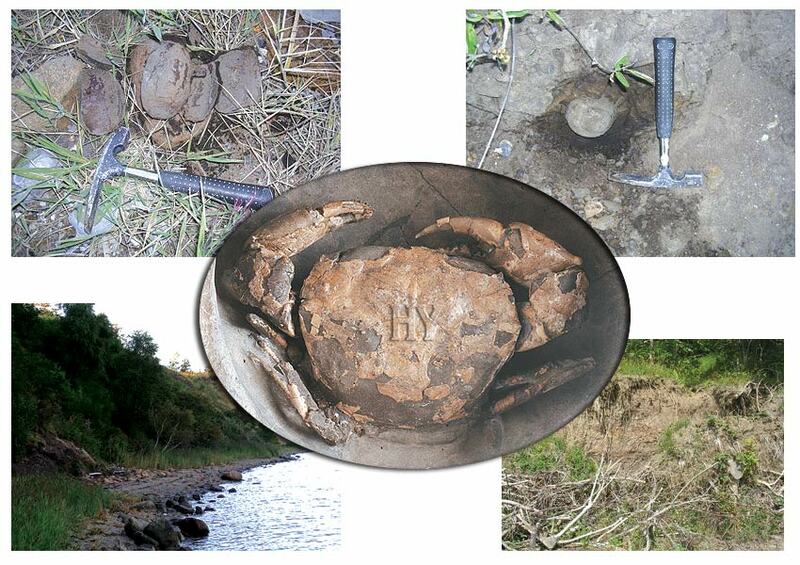 Like other crab fossils found in Denmark, this one was found in one of the nodules that come to the surface of the earth only at specific times of the year. 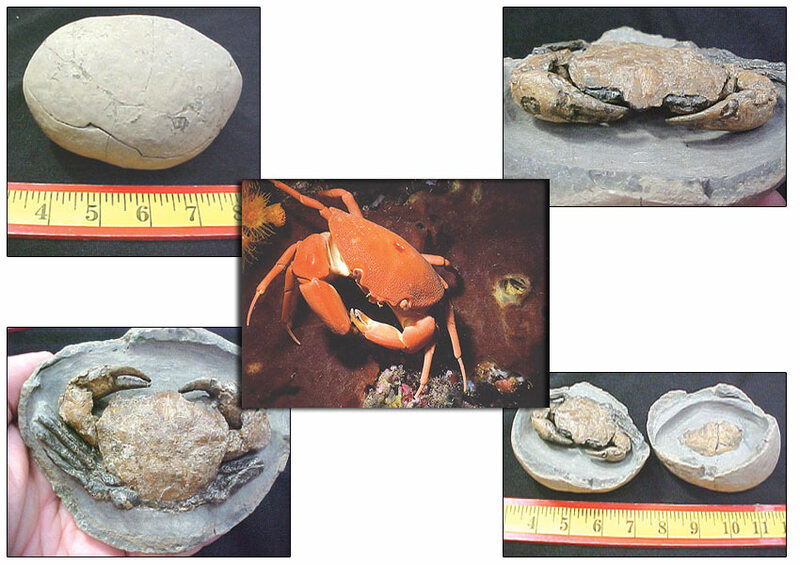 Most of these fossils are called "crab balls" most of which belong to the Oligocene period 38-23 million years ago. Pictured is a perfectly preserved 345-millionyear-old fossil crinoid. All the details of this creature show that there is no difference between it and the crinoids still alive today. These creatures have existed for hundreds of millions of years without undergoing any change; this fact alone is important enough to demolish the theory of evolution. Its invalidity becomes clearer every day from the accumulating evidence supplied by the fossil record. 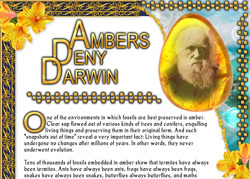 If Darwinists want to claim that living creatures have evolved, they need to supply an example of an intermediate form to prove their assertions. They must exhibit a half-evolved creature, showing how all its semi-developed organs are in the process of improving themselves and provide a number of examples for each transitional species. 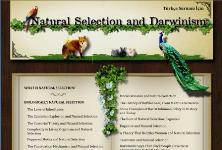 But Darwinists cannot show even one example of an intermediate fossil. 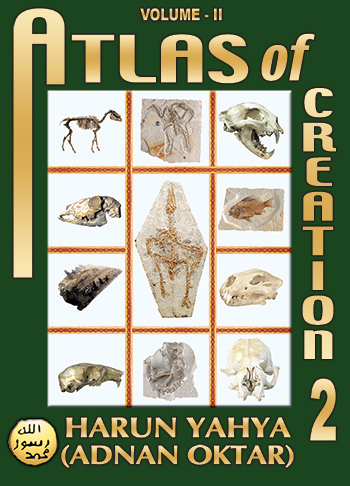 On the other hand, there are millions of fossils that preserve the remains of species that are still alive. 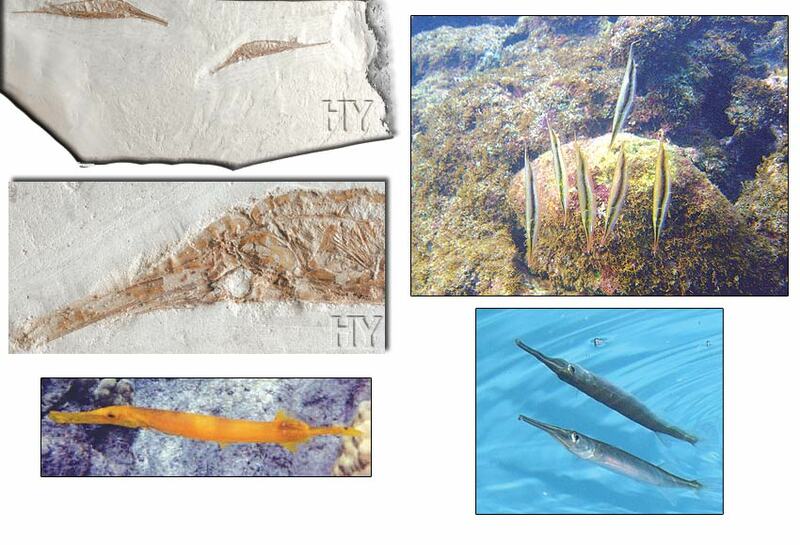 The approximately 5.3-million-year-old razorfish fossils shown here are yet another proof that argues for Creation, but against evolution. You can read Harun Yahya's book Atlas of Creation-Vol.2 online, share it on social networks such as Facebook and Twitter, download it to your computer, use it in your homework and theses, and publish, copy or reproduce it on your own web sites or blogs without paying any copyright fee, so long as you acknowledge this site as the reference.